During the XI Five Year Plan period Ministry of Human Resources Development, Department of Higher Education, Government of India introduced Central Sector Scheme of Scholarship for College and University Students on the basis of marks scored by these students in Class 12. No separate Exam is conducted by the government for this scholarship. Under this scholarship scheme brilliant students who belong to low-income families so that their day-to-day expenses while pursuing higher studies can be met. The scholarship is awarded to the students on the basis of their class 12 performance. Out of the total 82000 scholarships, 41000 will be offered to girls and 41000 to boys. 82000 scholarships have been divided into State Boards which has been done on the basis ofthe State population coming under age group of 18-28 years. This has been done after separating share of CBSE and ICSE on the basis of number of candidates who have passed out from these Boards. In the ratio of 3:2:1the scholarships are allotted to the State Board amongst the students who have passed from three streams i.e. Science, Commerce and Humanities streams. Gender: Both male and female are allowed. Nationality: Candidate must an Indian citizen belonging to non-creamy layer as defined by Department of Personnel & Training. Candidate must have taken admission in any under graduate regular course offered bya recognized Educational Institutions or University in India. Total Annual Income of parents from all sources should not be above Rs.6 Lacs. Graduation Level: Candidates will be paid Rs. 1000 every months for the period of 3 years. At the end of the academic year Rs. 10000 will be disbursed in Lump Sum. Post-Graduation Level: Candidates will be paid Rs. 2000 every months for the period of 2 years. At the end of the academic year Rs. 20000 will be disbursed in Lump Sum. 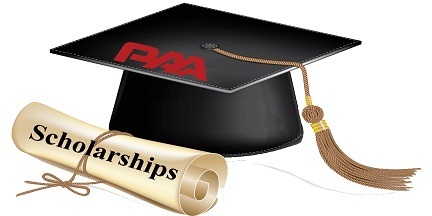 In case of Professional Courses candidates for the first three years will ba paid Rs. 1000 per month and later in the last two years they will be paid Rs 2000 per month. Academic period is of 10 months. How the Scholarship will be disbursed? The Scholarship Amount is paid directly into the accounts of the selected candidates by the Central Government via ECS (Electronic Clearing System). Hence for receiving the Scholarship Amount candidates are required to have their bank account in any nationalized bank or commercial bank having the provision of ECS facility. Candidates have to provide correct RTGS/ NEFT branch code (11 digit alpha numeric code), Bank Name, valid Bank Account number and detailed address of the Bank and the of the Bank. How the Scholarship will be renewed?